Accentuate your home with VASNER’s efficient, premium infrared heating panel. The benchmark of quality. Made of high-quality metal, Citara M electric panel heaters are simultaneously robust and elegant. 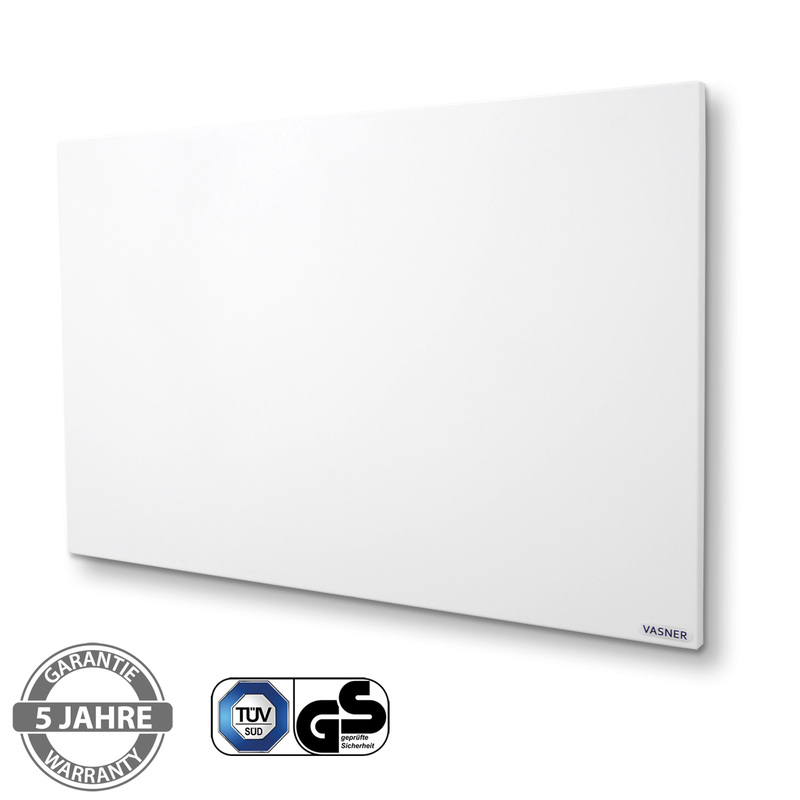 Thanks to its premium white finish, the electric heating panel looks great in every apartment or house. The subtle and sleek design element features a robust body. However, if preferred, it is possible to draw attention to this unique item in your home. With the help of suitable panel-varnish, the infrared panel heater can be painted in the colour of your choice! The multifunctional design always makes it a great fit! 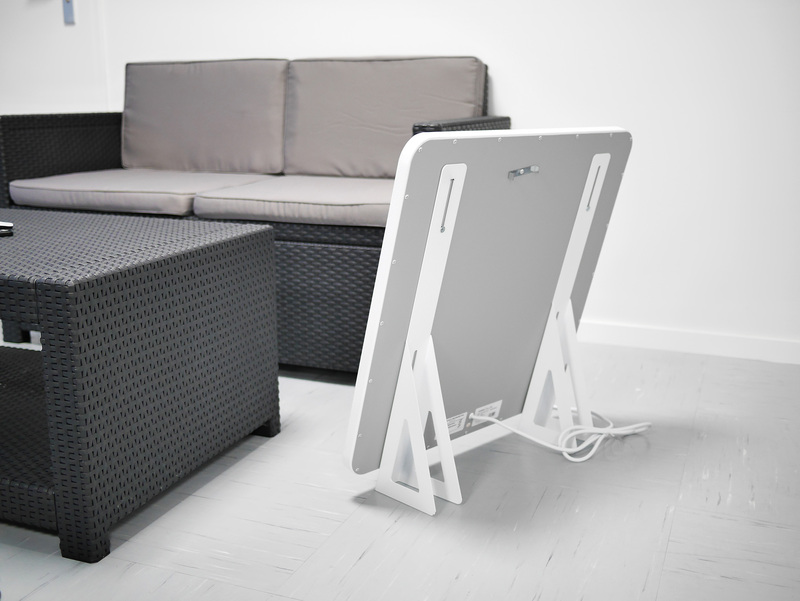 The Citara Metal infrared heating panel fits in anywhere. Be it in the living room, the office, a work space, the conservatory, foyer, bathroom or attic. 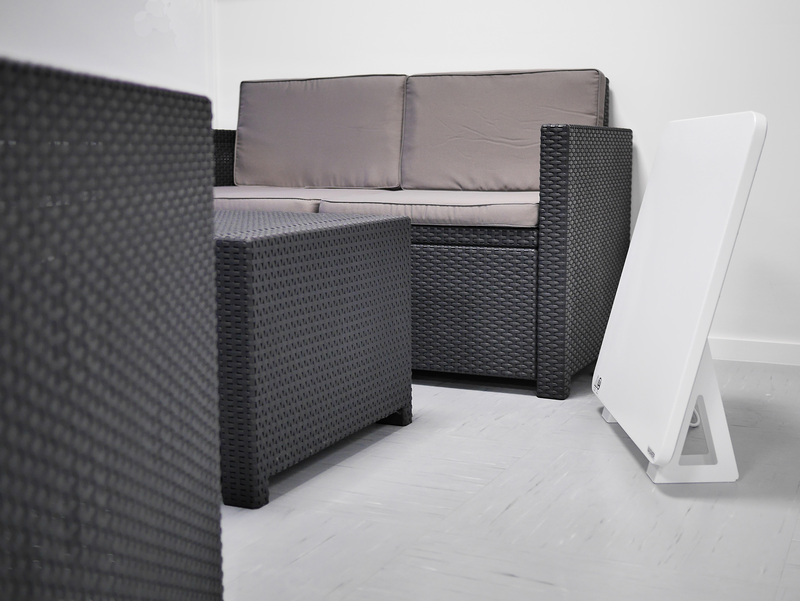 The elegant heating panel is discreet, robust and exceptionally integrative. This is especially due to its slim construction of only 2.5 cm. The VASNER Citara M is a next generation infrared heating panel that embodies the most innovative technology available. A special manufacturing process allows the Citara M panel heater to be highly energy-efficient, whilst at the same time offering a completely even heat distribution. The manufacturer VASNER has completely redefined the infrared heating panel in terms of robustness, design and advanced technology. Far infrared heating panels feature many advantages over conventional convection heaters. This is due to the fact that, instead of heating up the air for a pleasant temperature, far infrared panels directly warm objects, surfaces and individuals in the room through gentle waves of warmth. This results in a higher energy-efficiency and the prevention of dust being whirled up. A pleasant warmth emanates from the surface of the metal infrared heating panel which feels remarkably gentle and is reminiscent of morning sun rays. 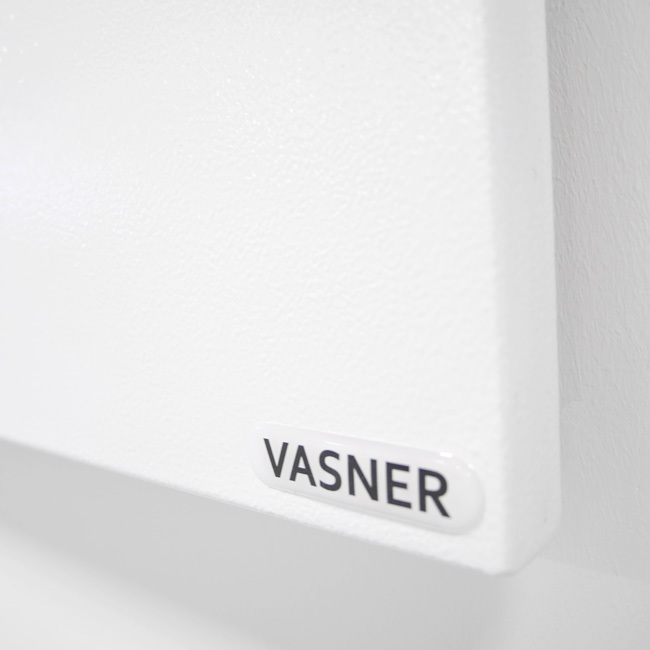 VASNER brand products focus on lasting, energy-efficient technology. This is the deciding factor that sets the infrared heating panel apart in terms of quality and that can be clearly felt in its performance. 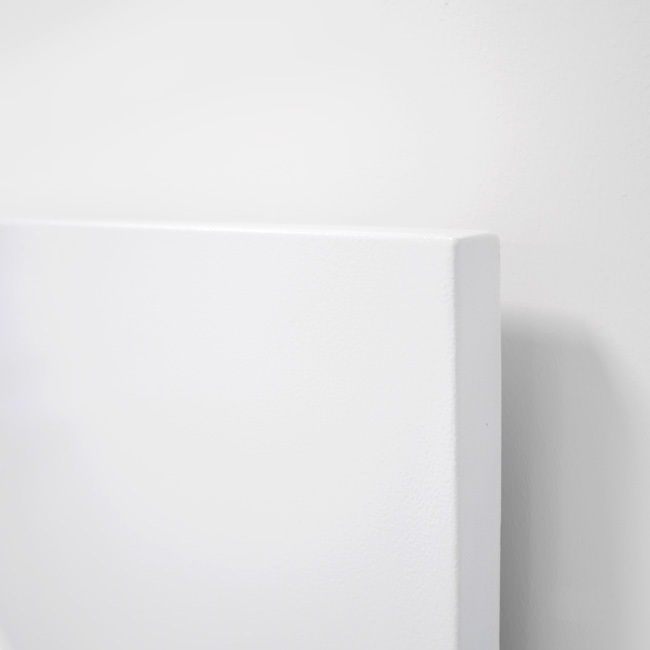 One feature that is not directly visible to customers, while being a deciding factor for heating efficiency, is the fact that the entire surface of VASNER‘s infrared heating panel emits warmth – even the outer edges – due to the all-encompassing premium heating filament. Therefore, you benefit from even heat distribution and efficient warmth. This poses an additional important quality criterion. Trust the quality and best heating efficiency of VASNER. 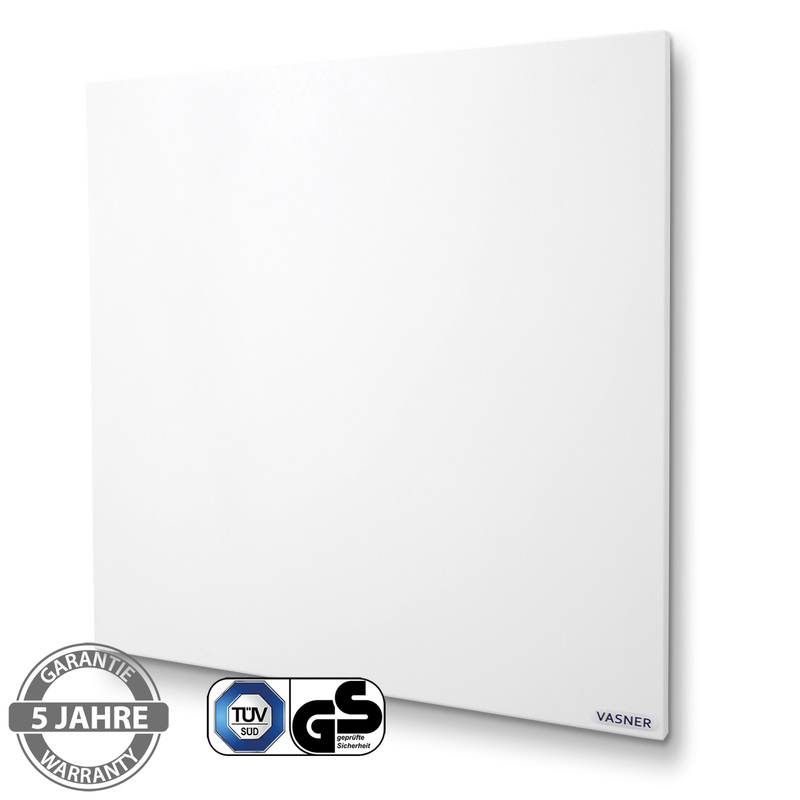 The VASNER M series‘ infrared heating panels are fitted with a new mounting system. This was specifically designed for an improved wall and ceiling mounting. 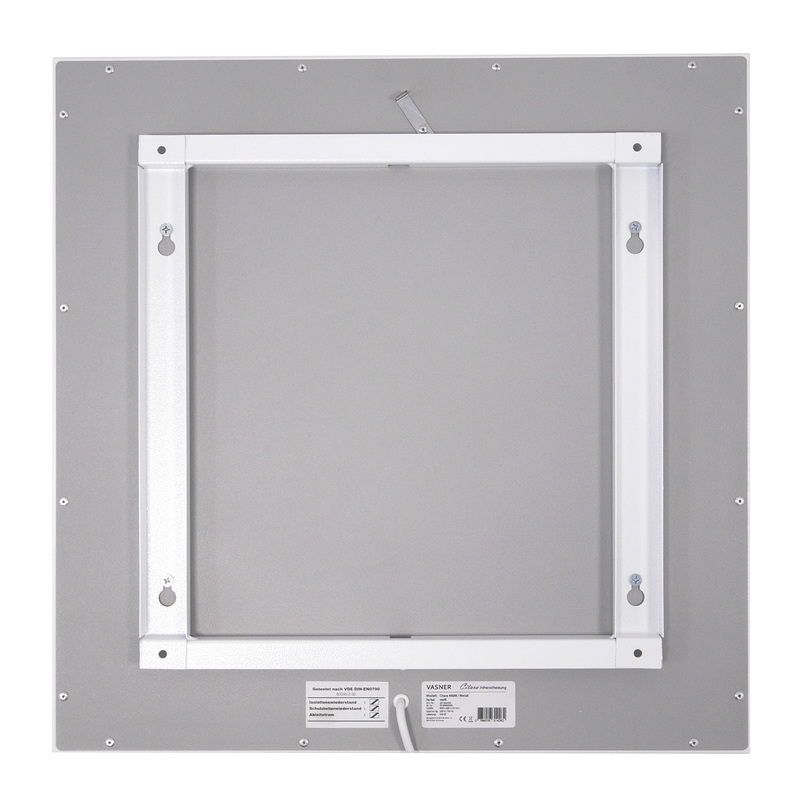 After installing the IR heating panel on the wall or ceiling, it is secured within the mount through a special safety latch which prevents it from falling off the wall or ceiling. 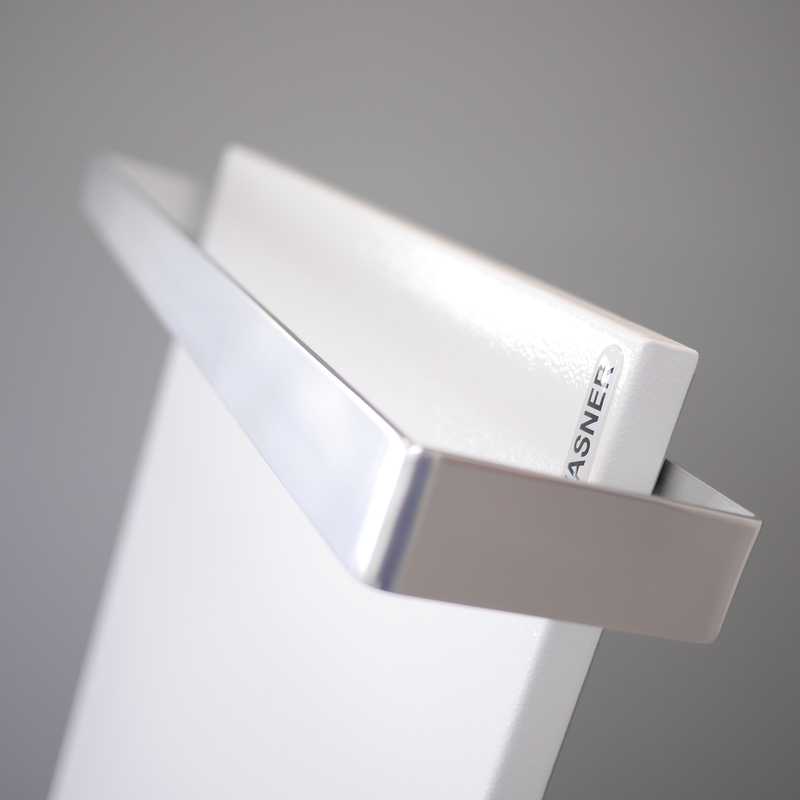 It can be freely chosen whether to mount the heating panel vertically or horizontally. 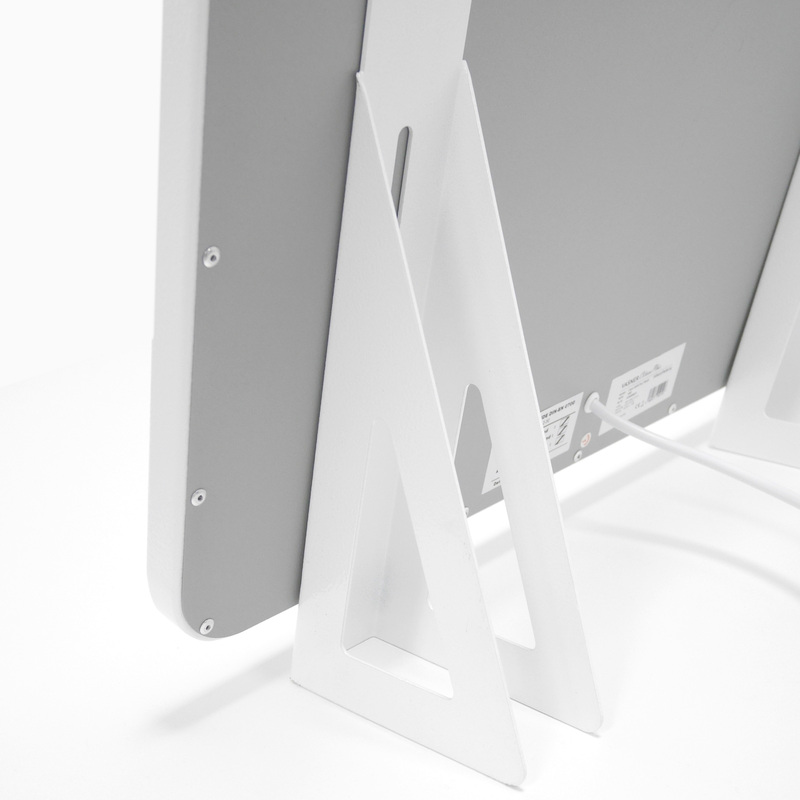 Only the new, patented mounting system allows the flat panel heater to rest very close to the wall, with nearly no gap, while still being secure. The mounting system guarantees more stability, preventing any swaying or other movement of the heating panel, which conventional infrared heaters with cable or chain mounting systems are often prone to. 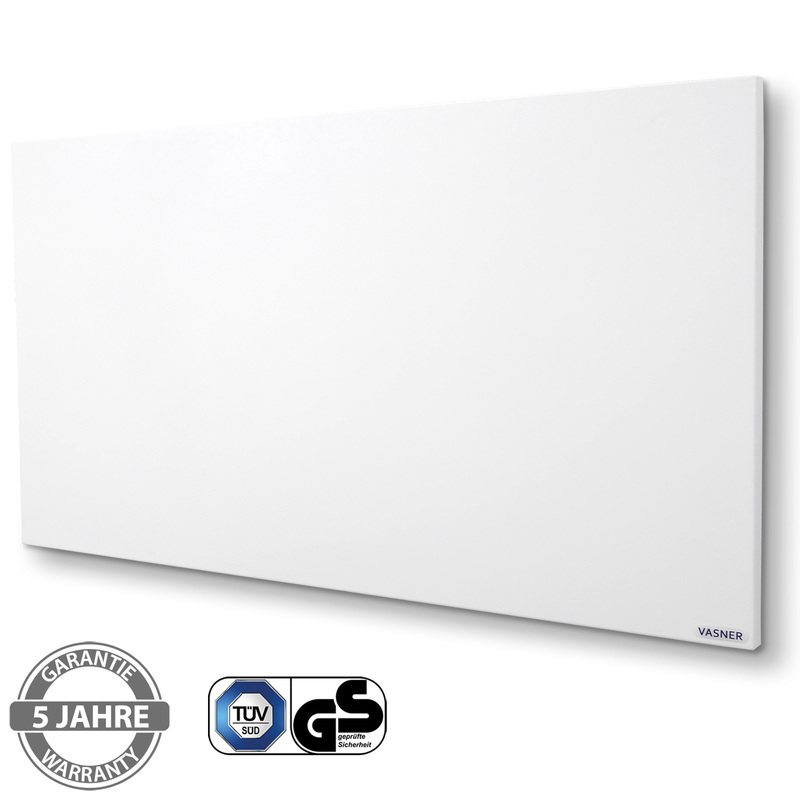 Using the Citara M as a ceiling heating panel has proven to be very effective in bathrooms, offices, medical practices as well as physiotherapy practices, generally wherever a specific focus of warmth distribution is required. Professional customers greatly appreciate the gentle and pleasant infrared radiant warmth and the positive climate it creates. 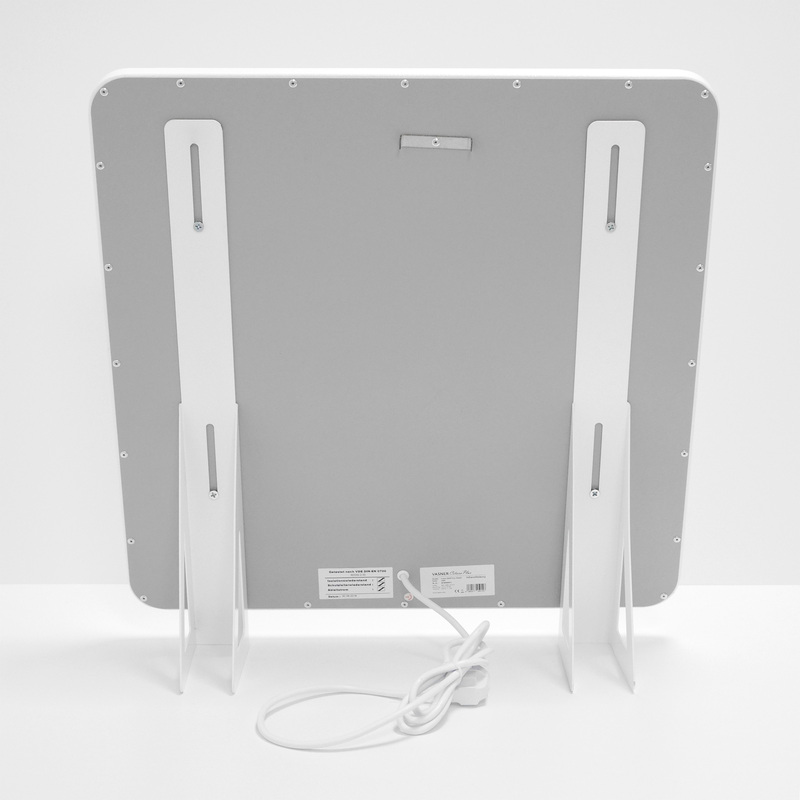 The Citara M infrared heating panel is designed in such a way that it holds the safety class IP 44. This means that the product is protected against moisture and spray water. For this reason, the Citara M is frequently used as an infrared bathroom heater. Mounted vertically, the far infrared heating panel emits a pleasant warmth directly upon the user’s body. Once you’ve experienced it, you will no longer want to miss the unique radiant warmth after your morning shower. Additionally, the innovative panel’s thermal waves keep the wall conveniently dry, lowering the chance of mould growing on the wall and eliminating any need for dehumidification. We recommend the installation of your Citara on the wall, facing the user of the bathroom. Either from the side or the back to allow it to directly emit warmth upon the user. Alternatively, it can be mounted on the ceiling, facing the user from above. Mounted on the wall or the ceiling, horizontally or vertically, the Citara M is very space-saving thanks to its slim construction. Saving space is especially important in bathrooms, which are often small and require vertical mounting due to narrow walls. The optional towel racks for the Citara M infrared heating panel allow you to always have warm and cosy towels after showering. The luxury accessory for your bathroom. VASNER focusses on quality. This is why the entire Citara heating series is TÜV Süd verified. 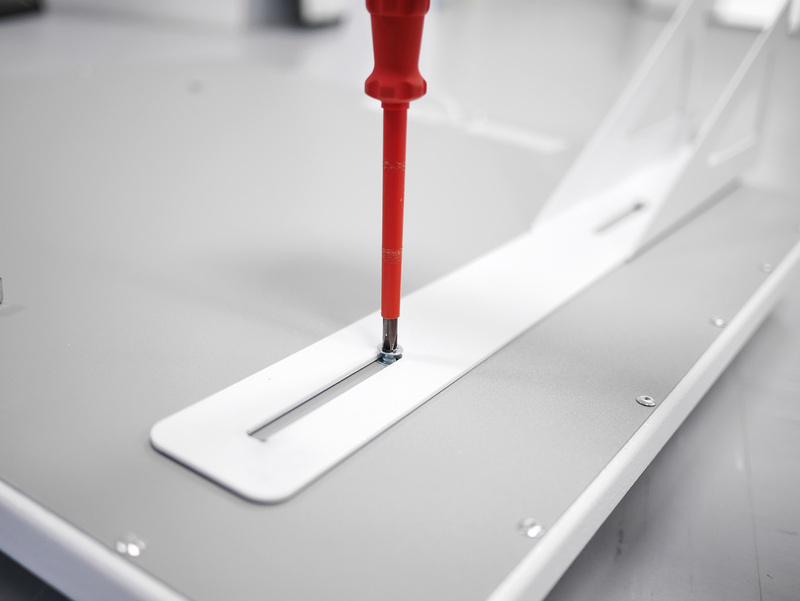 The maximum surface temperature of the heating panel does not exceed a range of 85 – 95 degrees Celsius, ensuring that no damage can be caused to either the device or its surroundings. To guarantee this, the infrared heaters are fitted with 4 heat protection switches that will reduce the temperature in the case of the device overheating. When you choose the Citara M heating panel, you choose tested safety and pleasant radiant warmth. When it comes to the construction of its metal infrared heating panels, VASNER counts on 1 mm steel material thickness. 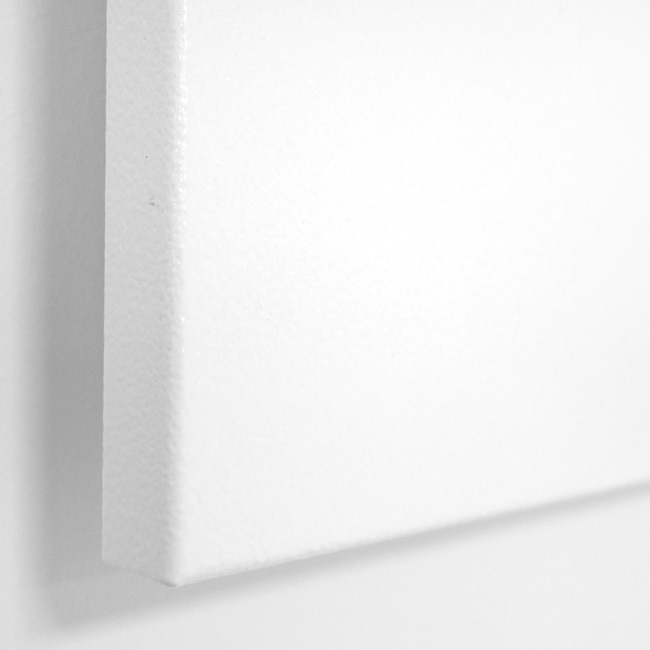 This creates a noticeable difference to cheaper infrared heating panels on the market that usually consist of only 0.7 mm thin material. This difference in quality is not directly noticeable to customers. However, only the high material thickness can reduce and control warmth-induced material motion. Trust the 1 mm steel quality of VASNER. Plug it in and Enjoy the Gentle Warmth! VASNER designed the Citara series to be “ready to go“. As soon as they are unpacked, the infrared heating panels are operational. The only thing left to do is to plug the mains adapter into a regular or thermostat outlet. Straight away, you will be able to enjoy the pleasant warmth. With one of VASNER’s matching programmable thermostats, you can not only benefit from a consistently perfect room temperature, but at the same time save on electricity and heating costs. Here at VASNER, we know what matters to our customers. 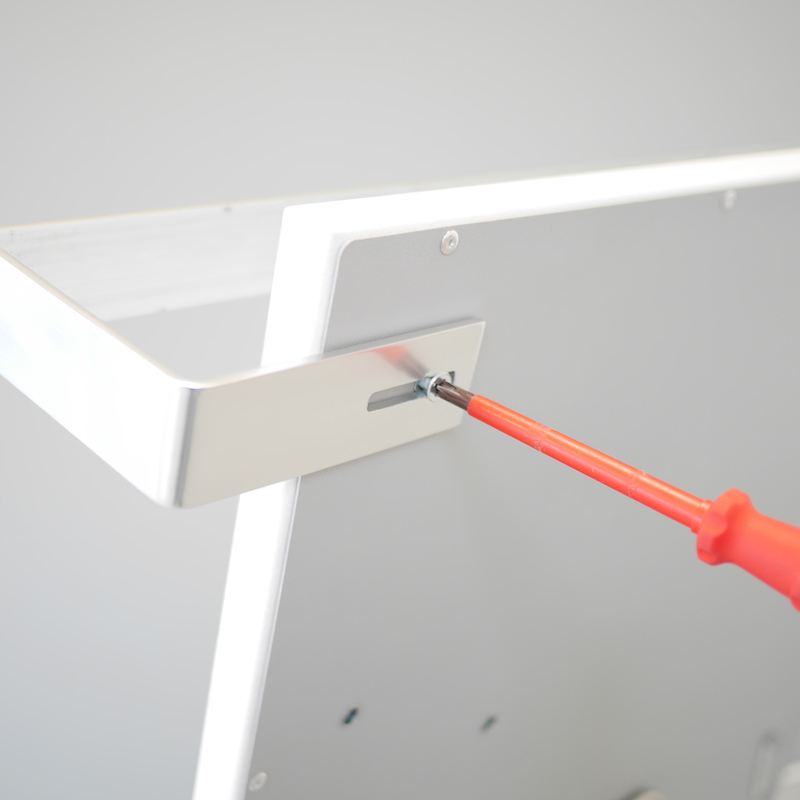 If instead you would like to hardwire the infrared heating panel into the electric circuit, your electrician can safely detach the mains adapter. In this case, the warranty of your article will, of course, remain valid. 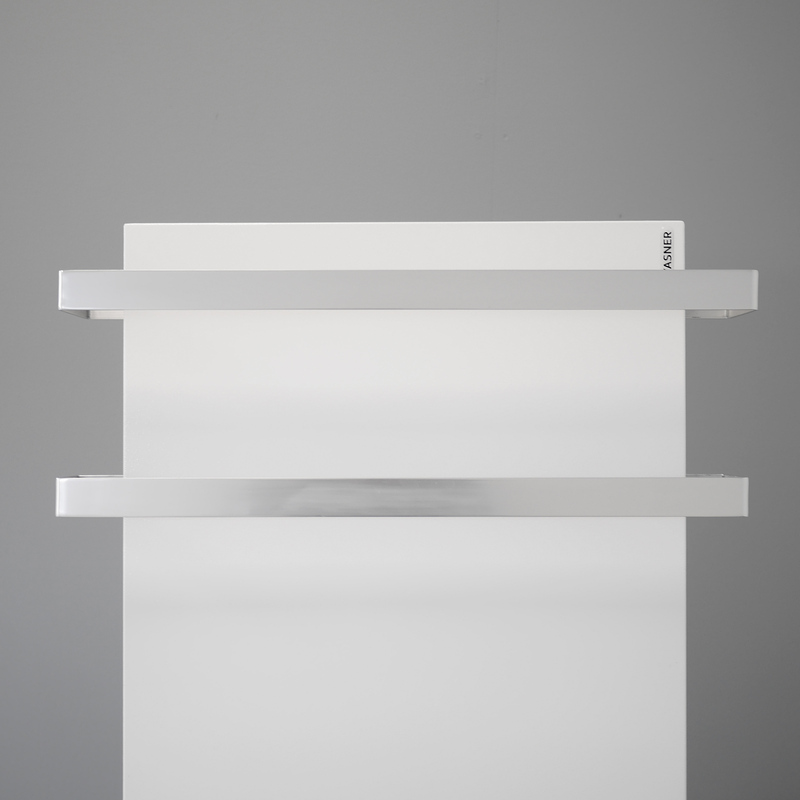 As an optional accessory, VASNER offers metal supporting feet for Citara ceiling / wall panel heaters. With these, you can transform your ceiling or wall mounted heating panel into a 100% mobile heater in the blink of an eye. Simply and quickly screw the feet to the back of the infrared heating panel and the Citara M can be plugged in and placed in any room and every space. With these convenient and functional accessories, the Citara M can, for instance, be positioned next to a desk to offer enjoyable warmth around the user‘s legs. The VASNER Citara M offers versatile application possibilities as a mobile heater. We are glad to advise you free of charge.